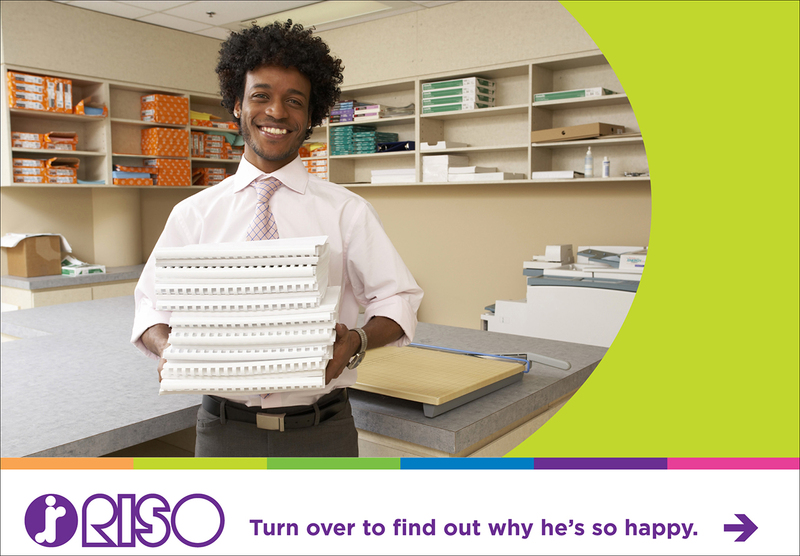 I worked in the marketing department for RISO, Inc. in Danvers, MA. Their department primarily focused on printed marketing materials rather than digital. While there I created numerous brochures and white-papers and made solid InDesign templates for future use. I also had a major role in the re-branding of the company. Although we couldn't change the logo, the rest of the stationary had a complete re-design. 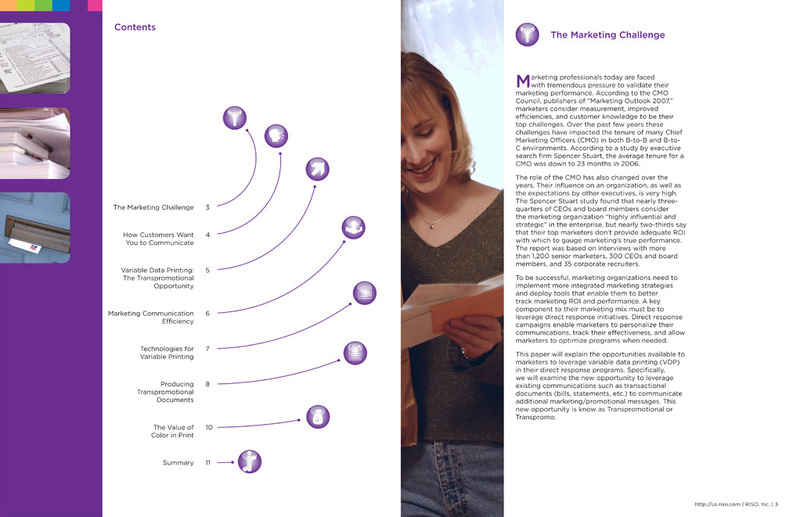 I helped manage the Education Campaign as well as came up with all the creative for it. 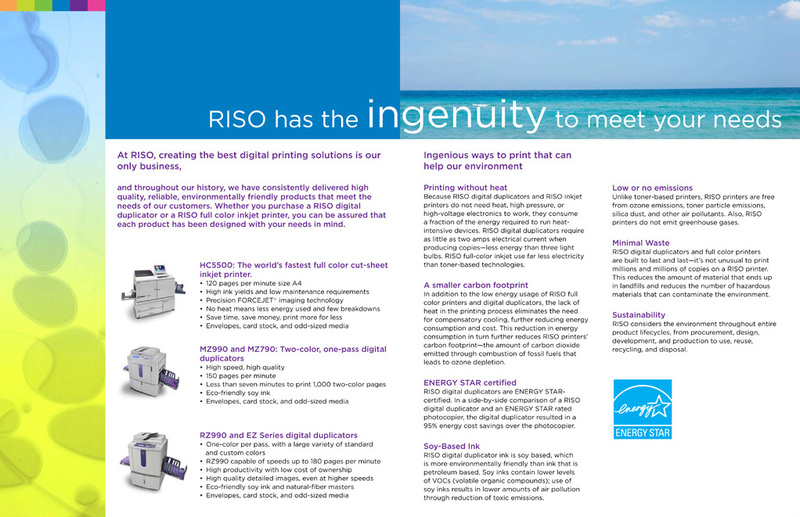 With direct mailers, invites, and banners, RISO gave me an incredible amount of experience in print-based marketing. All images and content copyright © RISO, Inc.